WWTP Dayri industry 500 m3/day in Palencia (Spain). 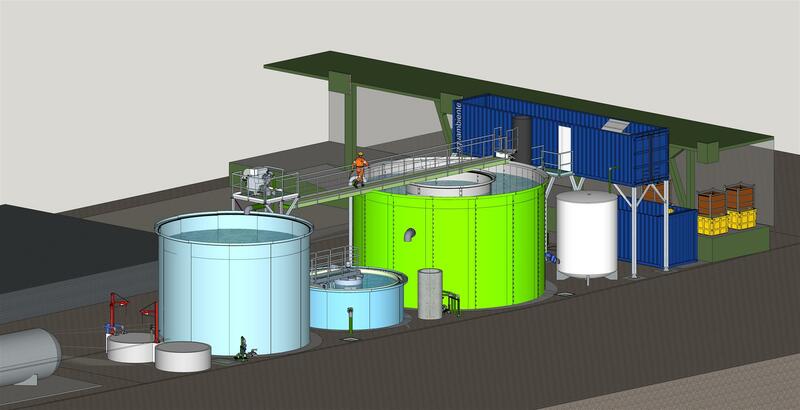 The turnkey project is designed for the treatment of 500 m3 / day, although it has been dimensioned with a view to a future expansion of water treatment flow to 600 m3 / day. The building which home the equipments has been built at two heights in laminated prefabricated panels, mainataining the aesthetics and archetexture to the factory. The Wastewater treatment plant consists of a pretreatment with rotary screen, which will eliminate part of the solids 0.50 mm, W-Tank® homogenization tank from which the water is pumped to a physical-chemical treatment by dissolved air flotation technology. The process ends with a SBR biological treatment in W-Tank® to reduce the load to the permissible levels of dumping. The management opted for this type of tanks for its simplicity and speed in assembly. Biological treatment was necessary to reduce the load to the permissible levels of discharge to the public channel. The dissolved air flotation unit has capacity of 30 m3/ h. The sludge generated in this process of wastewater treatment will be dehydration by an Automatic Press Filter, with which the dryness increase, make easy its management. After the start up of the treatment plant, Aguambiente’s maintenance team offers training sessions to the customer on “best practices for the operation of the WWTP”. The training is aimed at the personnel who will operate the plant in order to maximize performance and help reduce operating costs. You can see more references here. The Wastewater treatment plant consists of a W-Tank® homogenization tank from which the water is pumped to a physical-chemical treatment by dissolved air flotation technology. The dissolves air flotation unit has capacity of 30 m3 / h. The performance of this Anaconda® dissolved air flotation system is 93%. The sludge generated in this treatment stage is stored in a W-Tank® sludge tank for deshydratio by centrifuge. A wastewater treatment plant is as efficient as its operators. Lanzadera Valladolid Senior 2018 has visited us for collaborating in future recruitments of staff within the activity that develops Aguambiente -design and construction of WWTP (Waste Water Treatment Plant) and turnkey projects. 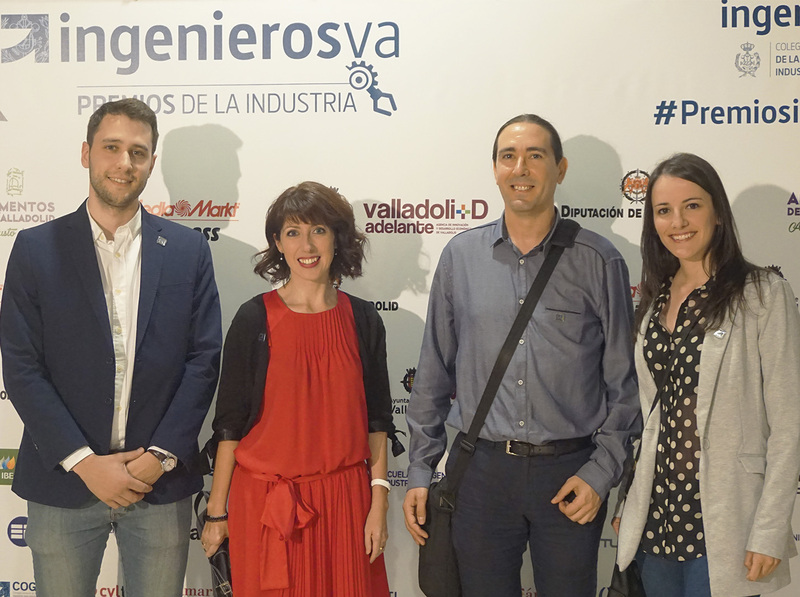 Lanzadera Valladolid 2018 submitted us their proposal and some of the staffing profiles they had. In addition, they raised us the possibility of establishing an alliance for future process of staff selection in the area of wastewater treatment, outsourcing, maintenance and operation. The shuttles are an excellent recruitment source for the companies. On the other hand, Lanzadera Valladolid Senior has been working for five months the added value of the transversal competences. 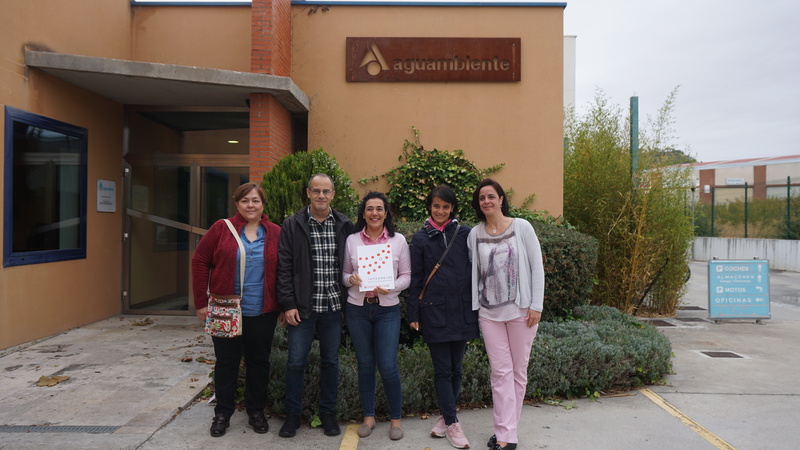 From Aguambiente, we would like to thank their visit to Carmen, Pablo and Irene, who have been accompanied by our Human Resources Department. 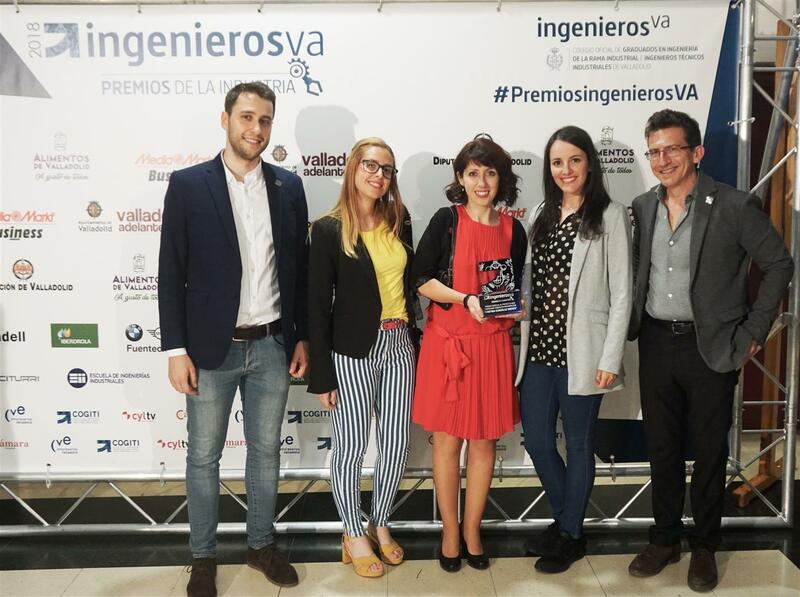 Cristina González, Industrial Technical Engineer of Aguambiente, has been awarded with the “Special Mention to Most Outstanding Project” in the second edition of Premios Ingenieros VA for the “WWTP Project at Soria Natural”. This project is a turnkey solution to treat waste water of the medicinal plants enterprise which is near of 500 m³/ day. In this way, the enterprise from Soria can discharge its waste water in the treatment plant of Garray (Soria) according with regulatory requirements. The project consist in the design and installation of the waste water treatment plant in Soria Natural, managed totally by Aguambiente. 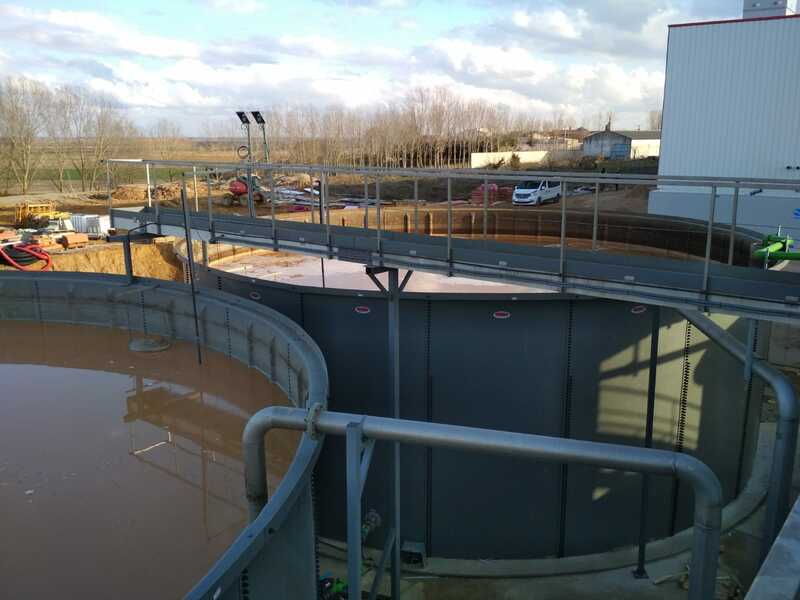 It is a full project that includes all phases of water treatment: pretreatment, equalization, physico-chemical treatment by dissolved air flotation, biological treatment and settling in GRP tanks. Then, wastewater goes to Garray WWTP in conformity with local regulations. Furthermore, generated sludge are dewatered in a filter press to make easier the management. Cristina González is an Industrial Technical Engineer specializing in Industrial Chemistry from the University of Valladolid. Nowadays, she is a Layout and Project Manager at Aguambiente. Since 2001 she has implemented all kinds of urban and industrial waste water treatment projects at national and international level. In this field, she has carried out more than 3000 project studies to treat waste water in a lot of industries from different sectors. “The answer is in nature” is the theme chosen for this year. How nature can help us overcome the rising challenges of XXI century. In previous years, themes were related to waste water (2017), employment (2016), sustainable development (2015) or energy (2014). However, in this edition it needs to raise awareness in order to take care of the ecosystems and the nature and how it can create synergies to contribute to Sustainable Development Goals of 2030. This way, there are many aspects of sustainable development which can be improved by the union of nature and water: from ensuring food security and reducing disaster risk to building sustainable urban settlements and boosting decent work. Nevertheless, there is still a lot to do. In 21st century, more than 2 billion people lack access to safe drinking water and more than the double of that number lack access to safe sanitation. In addition, the demand for potable water is expected to increase more than 30% in 2050. Accelerated consumption patterns, environmental degradation and climate change reveal the need of a mentality change that involves all figures in the society. The demographic growth that the planet is suffering is also reflected in world water demand’s increase. Both industrial and domestic demand have experienced an increase linked mainly to the growth of emerging countries. And this trend will continue raising at the same rate of their population growth and economic development. At the same time, climate change is exacerbating environmental conditions in different climates. Drier regions will become more and more arid and wet regions also will turn into more wet places. Nowadays, 1800 million people live in areas affected by desertification and it is expected that this phenomen will cause more than 135 millions of migrations. Current trend of inundations will continue growing too. Around 1200 million people who live in risk flood areas will become more than 1800 millions in next 30 years. Fortunately, the attention given to Nature-based solutions has increased for last years. The introduction on these natural solutions in the field of legislation -specially in water resources-, food safety, agriculture, biodiversity, natural disaster risk reduction… has collaborated to be recognized from many sector. Goals the 2030 Agenda for Sustainable Development can lead the way to revers the current trend. You can download here the United Nations World Water Development Report 2018. 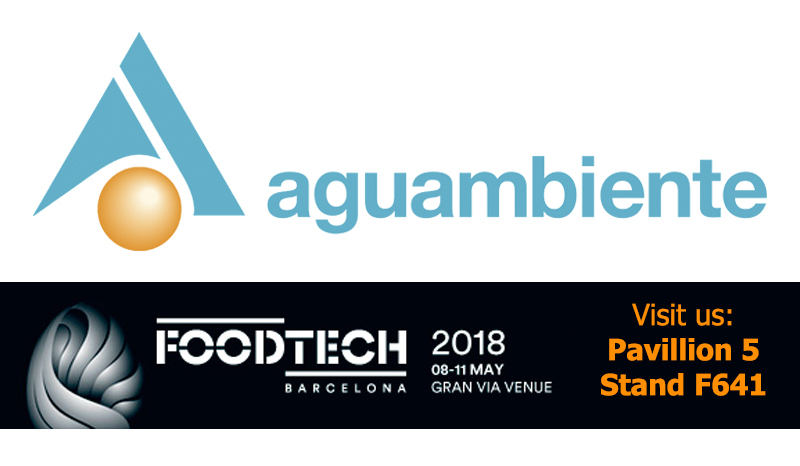 Aguambiente will be present in the next edition of the fair FoodTech Barcelona 2018. This edition will take place in Fira Barcelona, Gran Via from the 8th to the 11th of May. This fair joins machinery, technology, processes and ingredients to the whole foodstuff industry. FoodTech 2018 is divided in three sections: TecnoCárnica, TecnoIngredientes and TecnoAlimentaria. The first two of them are focused on a specific sector in foodstuff industry, and the third one, on technological solutions to innovation and improvement of the industry processes. 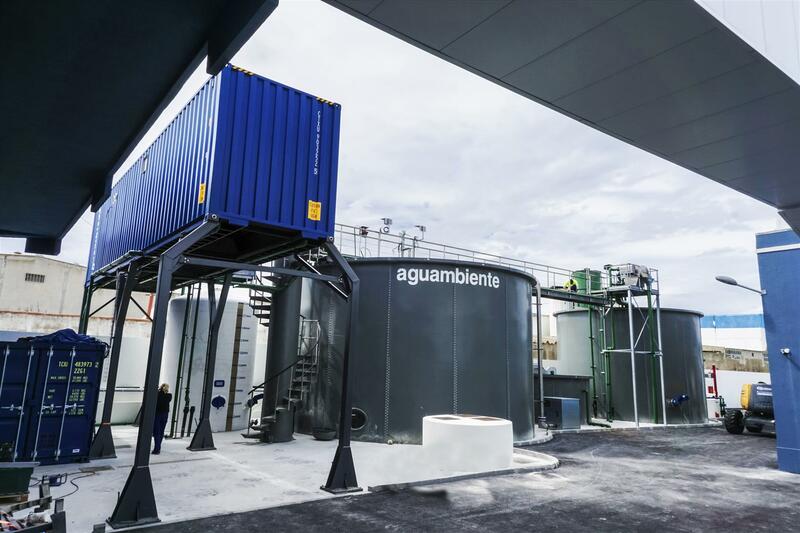 Aguambiente, specialized experts in water treatment, will attend to this edition of FoodTech to show last innovations in industrial waste water treatment. 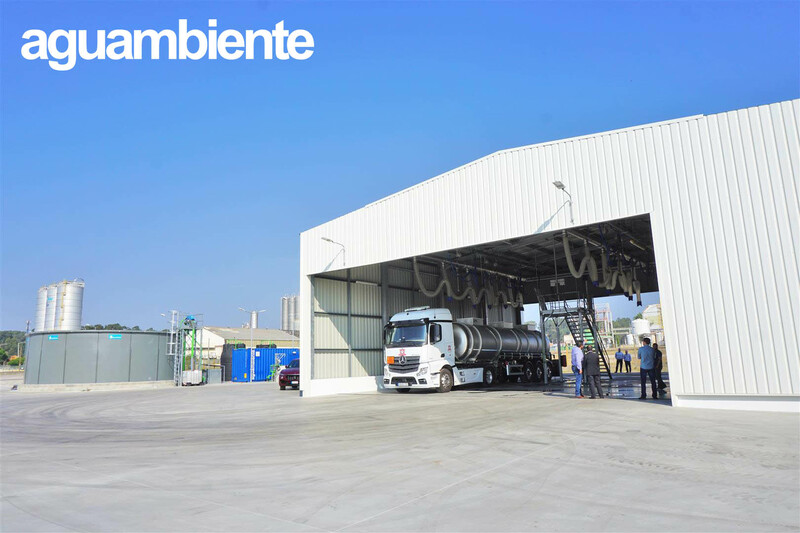 The compact WWTP’s (waste water treatment plants), turnkey solutions and the services of rental & pilot plants and WWTP’s maintenance & operation are some of the services that Aguambiente will present to attendees. Aguambiente invites you to visit us in this FoodTech edition. We will be delighted to advise you or answer any queries. 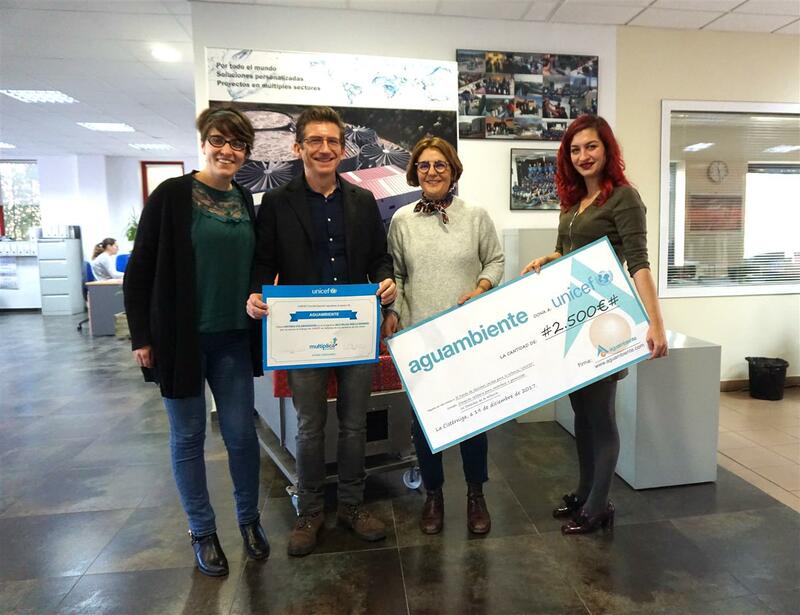 Aguambiente is constantly working in the study of new processes which improve the performance of the WWTP (waste water treatment plants) and the cost saving in water management. Years and experience have generated in-depth knowledge in different fabrication processes in many industries and a way to build containerized plants. This way to build compact waster water treatment plants break the mold of megalithic plants and take account of lead time, space and people who daily work there. What are the most typical client requests when they are going to install a WWTP? Customer wants to save: chemists saving, energy saving, few residues generated and low maintenance. Twenty four-hour availability to solve possible breakdowns is also important. Treatment process has to be made in little space. This is why we we work with modular plants assembled inside ship containers that can pile up on others. 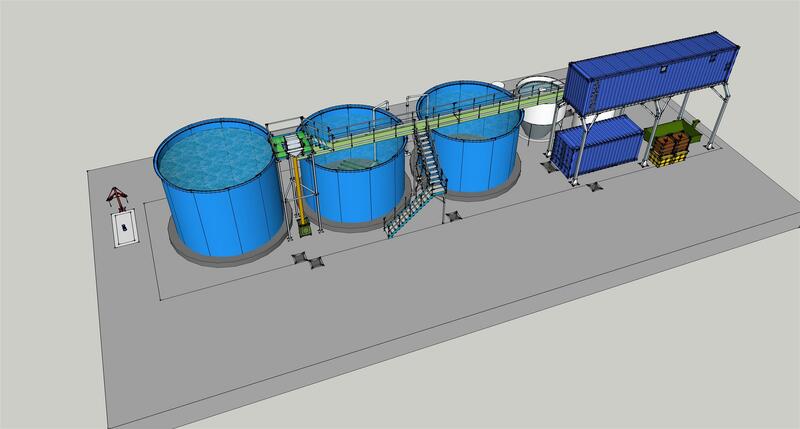 How does this idea of containerized WWTP arise? Firstly, we try to optimize lead time and reduce the space. Spanish industry performs its activity in industrial parks where they have not to much available space. Then, manufacture processes are standardized to reduce cost of production. This standardization supposes that equipment leave the factory fully mounted and proved so assembly time and tests in destination are enormously reduced. Portability and ease of transport is another key point. Are this compact solutions requested from abroad? Of course! The most part of our market is placed in Spain and Portugal but every time there are more customers from foreign countries. A lot of countries from Europe, South America, Central America or East countries are interested in these compact solutions. Low cost, ergonomic design, lead time, and easy installation and set up are essential characteristics to export this compact WWTP. There are differences between the way of undertaking these projects in other countries and in Spain? Yes, each country is different. Cultural beliefs in negotiations are points to keep in mind. Water and landfill legislation is different in every country too. We always try to go ahead of these facts and keep us informed to advise the client perfectly in every sector. In conclusion, industries work in a similar manner around the world and the main strength of Aguambiente is the thorough knowledge of each one of these manufacturing processes. Which industries is Aguambiente specialized in? 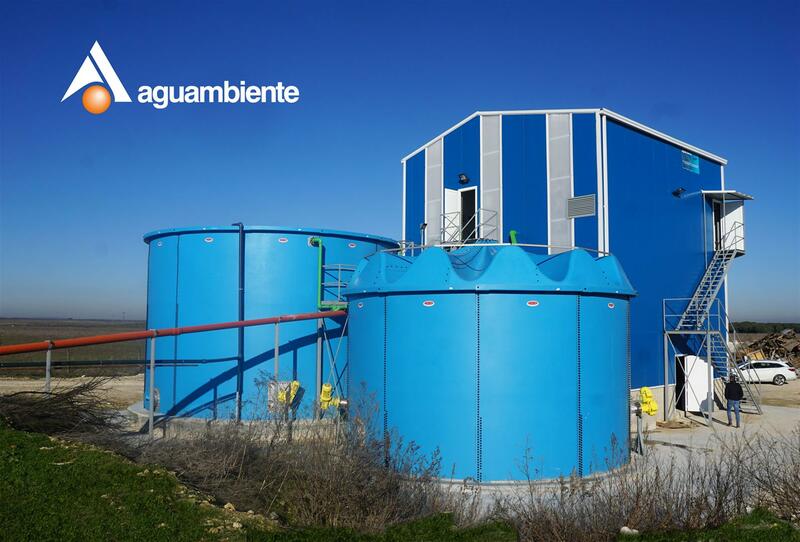 Aguambiente is an expert water treatment company and is specialized in a lot of sectors. We have installed WWTP in foodstuff industries all over the world, in meat plants, dairy plants, wineries, canning factories, pastry and bakery factories, fish processing plants, egg processing plants… There are also a lot of references in textile sector, tank cleaning plants, chemical and pharmaceutical industries, metallurgical sector, paper factories, wood industries, waste treatment plants or biofuel plants in which GFRP digesters are becoming very usefull. 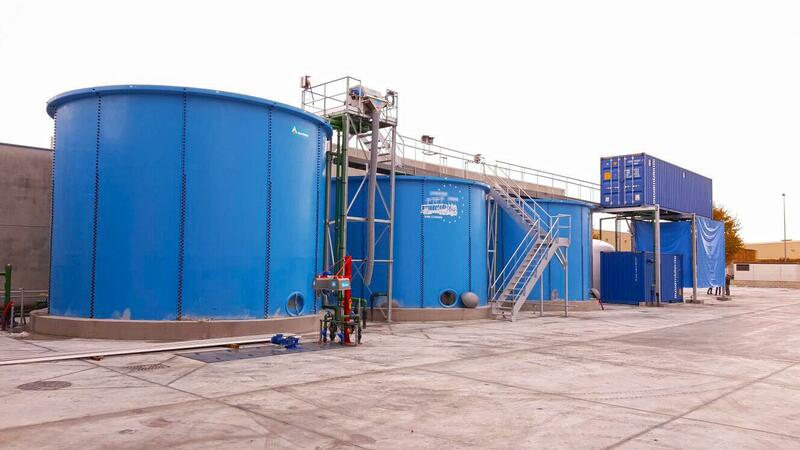 To highlight some of them, we have recently installed sludge anaerobic digestion in a Slaughterhouse WWTP in Portugal. In this plant we have reach an excellent optimization in operating costs and in the own project, allowing, moreover, the re-use of process water. What advantages does the customer get with your installations? At the beginning, the main advantage is the optimization of treatment process and the costs reduction that is what customers want when they request to Aguambiente. The space is also important. Containerized solutions can be easily installed and they can make the plant bigger or smaller depending on the customer needs. Specific increases of production or flow used to be common in certain industries. So, versatility and installation time are very important to our customers. The ease of transport and installation, costs reduction coupled with them and reduction of maintenance are great advantages in relation with traditional plants. In addition, WWTP humanization is vital, we try to make them more functional and easy to use for people who work there daily. On the other hand, customer can outsource the whole project by rent plants for a fee. Cost of the fee can round 1€/ m3 of treated water and it includes every cost of WWTP: analysis of water and industrial process, project, civil work; equipment supply, installation and set up; chemical products, generated sludge management and preventive maintenance. All with guarantee of energy consumption. Optimization is the most important point from economic view. What are Aguambiente future challenges? Legislation on landfills will be more and more strict in fines, fees and taxes. Water is not endless and we have to take care. At the same time, optimization projects will be fundamental in industrial wastewater treatment. We will get less costs, less energy, less water and less waste, and everything cheaper. The Tank Cleaning sector opened their doors and, now, they are leader companies. 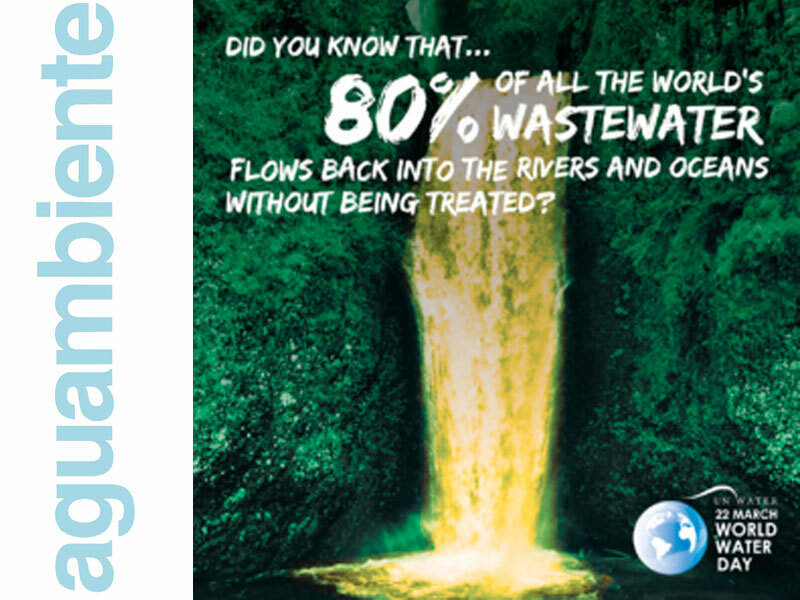 Currently, Aguambiente (Waste water treatment) and Arcoi (Washing Systems) have had a close partner relationship in this sector since 2000. They are involved in a lot of Tank Cleaning projects. Part of this succes is based on the ease to relate and comunicate themselves. This fact makes the work faster in all levels, with the subsequent economic effects. 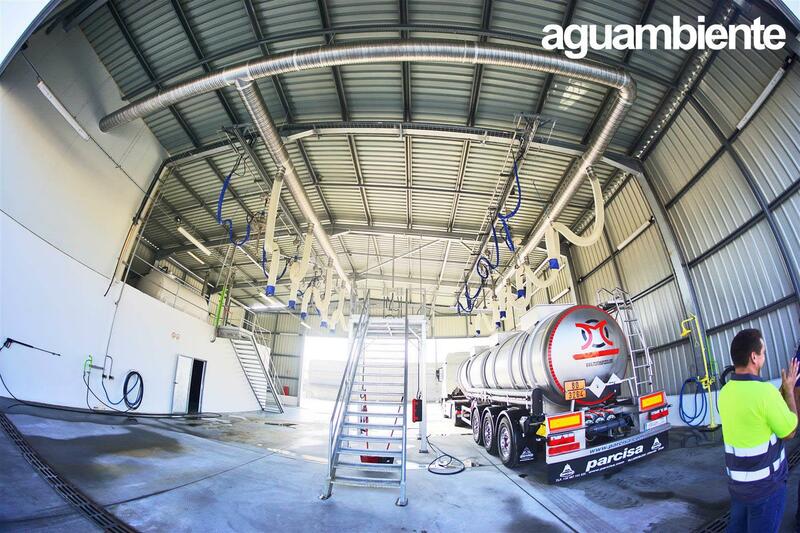 Aguambiente & Arcoi have strong specialists in Tank Cleaning Areas, where the washing system equipment projectand the waste water treatment used to be unique, specific and custom made. What is the origin of Aguambiente? Aguambiente was created in 1990. When we had finished Engineering Degree, we decided to set up a water treatment company. We were very interested in industrial stuff, chemistry and we loved the environment. In this way, we started with limited resources. In those times, customers were a little desperate because they had to respect regulations. And we guarantee to comply discharge limits. In this way, we started our first projects which later will be our investigation pilot plants. In 1992, we enlarged our headquarters and started to design industrial waste water equipment. We were sure about our water treatment had to be placed in little room because the characteristics of Spanish industrial areas. In this way, we set up our first High Performance Dissolved Air Flotation (FADAR) machine in Firestone-Hispania (tire factory). It got a very high performance, it concentrated sludge in a very high dryness level. It was a success! 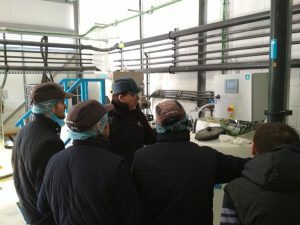 Then, we were learning about different industries and process, developing pretreatment equipment, fat and oil separators, sludge treatment and preassembled solutions. Presently, we install WWTP but also we manage it, make the maintenance, we can outsource the whole process and re-study internal processes to re-use, to reduce energy cost, water cost… Optimization allow our customer earn money. How does the idea of preassembled WWTP arise? What are their advantages? In 2000 we began to “humanize” WWTP to make more simple work in them. This way of constructing compact plants allows us to reduce costs and to have portable equipment and storages that could be easily installed or dismantled and re-used. It is very simple to enlarge or reduce because they are modular and WWTP can be adapted to the customer needs. Actually, we have done projects all over the world. In fact, we can install and set up a WWTP -definitive or rental- in less than a week. What are the challenges ahead in Aguambiente? Debugging flags will be more strict in the future. Nowadays, we know how to use energy from waste water. We know recover energy from waste and reduce them to the minimum to compost or landfill them. This will be the challenge: projects optimization. To reduce energy cost, reduce waste, reduce water cost, and reduce operation cost. And taxes and canons are each time higher, it could be our engine to optimize. With this high taxes we can make affordable and efficient waste water treatment. 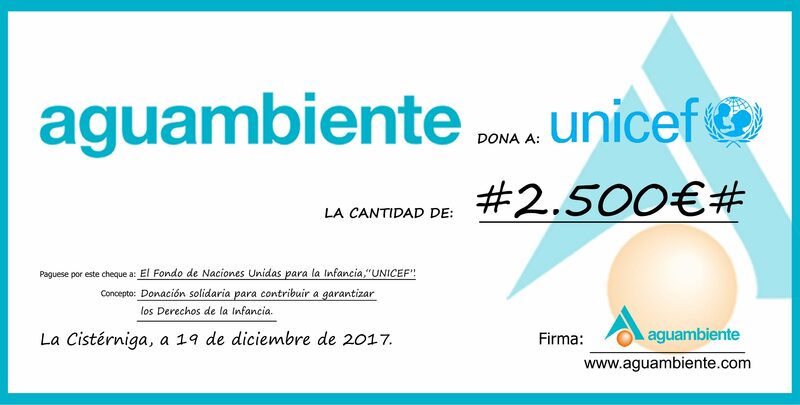 The company from Valladolid, Aguambiente SL, which since its inception in 1990 has collaborated with UNICEF every year, has participated for the sixth consecutive year to the initiative Multiply for Childhood. This program is designed especially for small and medium enterprises whose objective is to mobilize resources in favor of the children education in Africa. The renewal of the collaboration agreement between both organizations has been signed by the Acting President of UNICEF Committee Castilla y León, Montaña Benavides, and the Manager of Aguambiente, Santiago Salcedo. 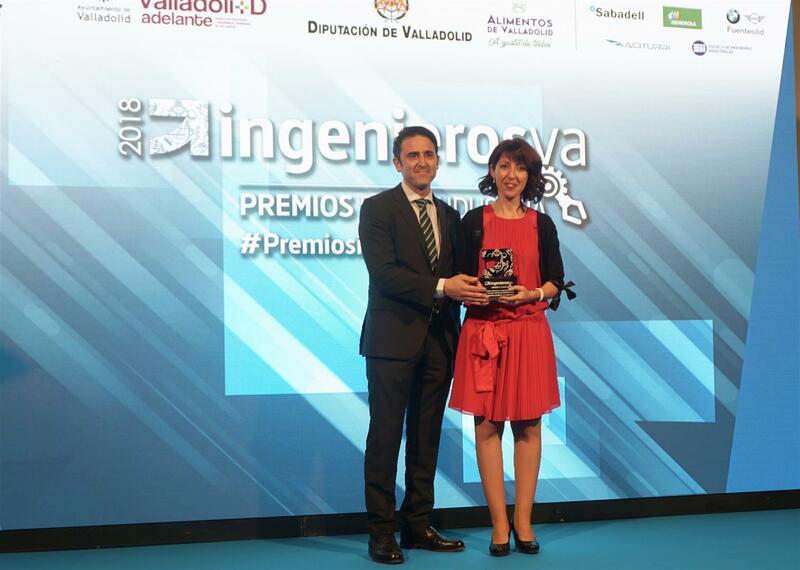 Ainhoa Salcedo delivers the contribution of Aguambiente to the President and Rocío Gutiérrez (Coordinator). The funds -2,500 €- are destined to Schools for Africa, an initiative of UNICEF with the Nelson Mandela Foundation and the Peter Krämer Foundation. It provides an opportunity for children in Africa to access quality education and dream of a better future. Currently, some 57 million children do not go to school and the lowest rates of schooling correspond to sub-Saharan Africa, where only 2 out of every 3 children of school age have access to education. 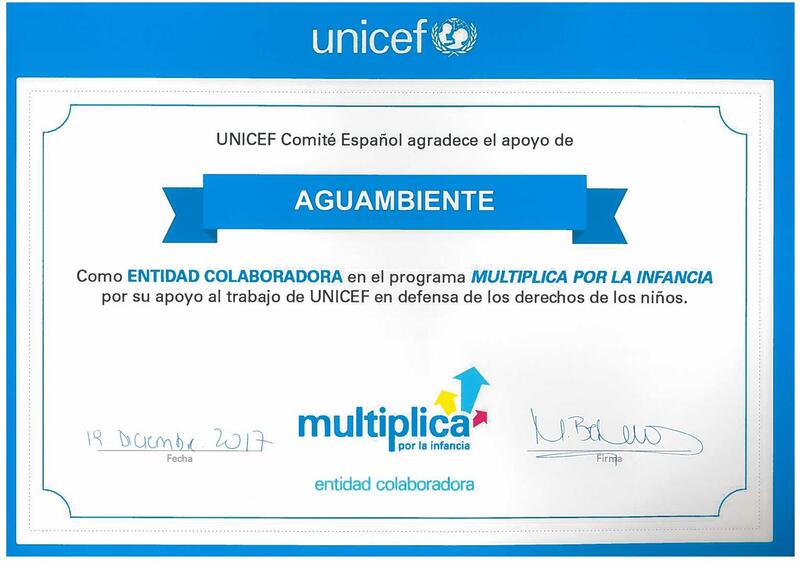 From Aguambiente we encourage other small and medium companies to contribute their bit. 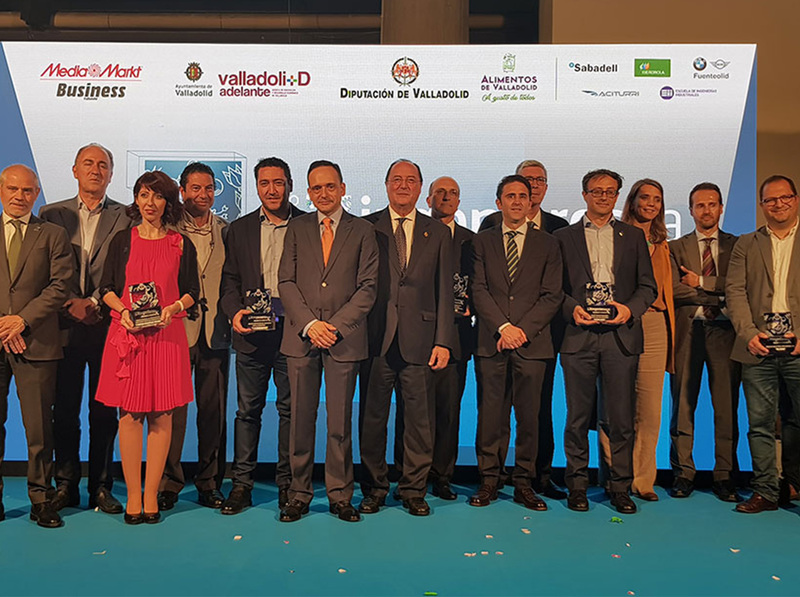 Aguambiente, one of the Industrial Engineering companies mentioned along with Aciturri Composites, Aquomna, Cognizant, Antolín Group, Renault, Entrepinares … where there are more than one hundred unoccupied practice positions. 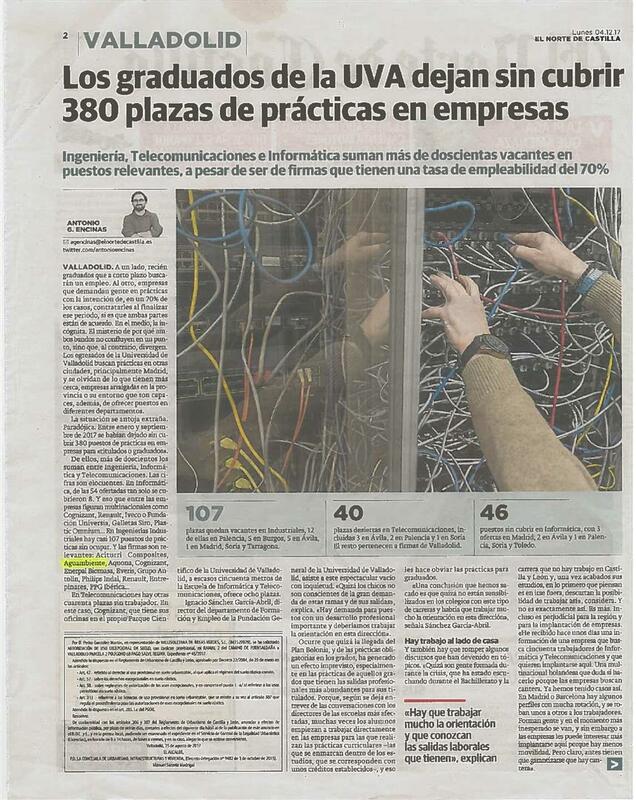 Between January and September 2017, 380 positions in practices have become vacant. On one side, recent graduates who will seek employment in the short term. 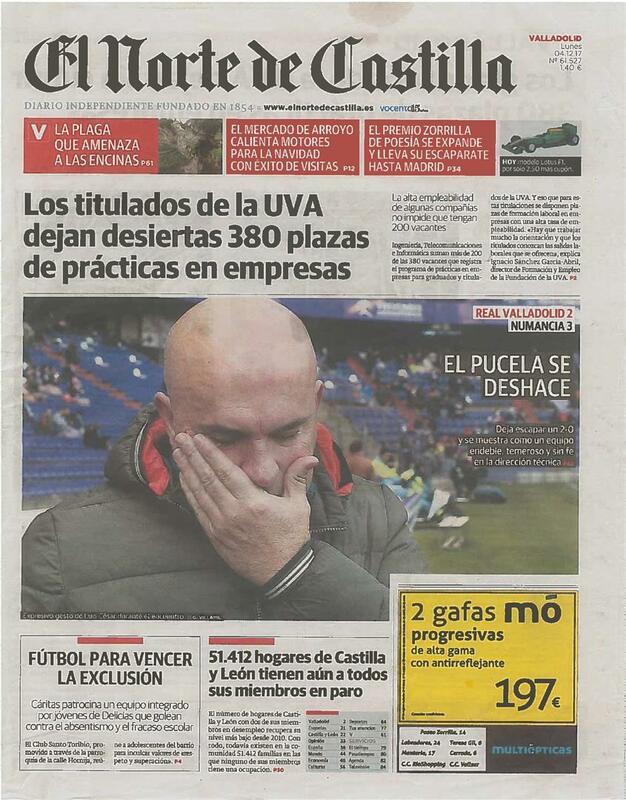 On the other hand, the companies that demand people in practices with the intention, in a 70% of the cases, of hiring at the end of the period.